This paper has several folds. We make first new permutation choices in Halton sequences to improve their distributions. These choices are multi-dimensional and they are made for two different discrepancies. We show that multi-dimensional choices are better for standard quasi-Monte Carlo methods. 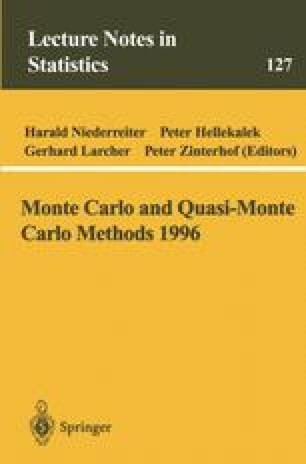 We also use these sequences as a variance reduction technique in Monte Carlo methods, which greatly improves the convergence accuracy of the estimators. For this kind of use, we observe that one-dimensional choices are more efficient.